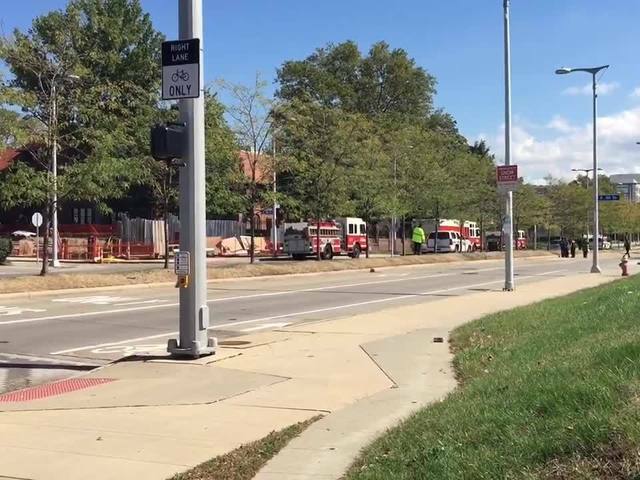 A gas leak closed a portion of Euclid Avenue at East 89th Street near the Cleveland Clinic Tuesday afternoon. Officials gave the all-clear and reopened all facilities at 1 p.m.
Cleveland police reported the leak around 11:45 a.m. Tuesday. The leak forced the evacuation of parts of the Cleveland Clinic and the nearby InterContinental Suites Hotel. A Burger King was also evacuated. Due to a gas main break, which has been secured, we have taken precautionary measures and evacuated several buildings on Cleveland Clinic’s main campus located between E. 83rd and E. 89th Streets. Patients, caregivers and visitors have been transported and relocated to other areas on campus. The buildings will reopen once all areas have been cleared. Firefighters and Dominion East Ohio responded to the scene to investigate the cause. newsnet5.com is headed to the scene and will update this story as more information becomes available. Download our newsnet5 app here to stay up to date on breaking news.